In a new interview with Adria’s News, George R.R. Martin has talked in detail about the future of the saga in books and the HBO tv show! The most interesting bits of the interview are about the next book in the ASOIAF saga, The Winds of Winter, as well as how he writes characters, works to subvert reader expectations and more. The entire interview is worth checking out, but you can read some snippets right here. Martin speaks very openly about how far he has come writing Winds: “I’ve already written 400 pages of my sixth book and I really look forward to publishing it in 2014, but I am really bad for predictions.” He is aware of the fact that after the saga is done, he will be judged at the quality, not the speed of his writing so if we have to wait a little longer for perfection we can’t blame him for that! That said, however, “I will write the two last books as good as I am capable of and I think the great majority of my readers would be happy with it,” Martin says. I urge all readers to check out the full interview with Martin over at Adria’s News. It is truly one of the best interviews with George R.R. Martin in a long while. 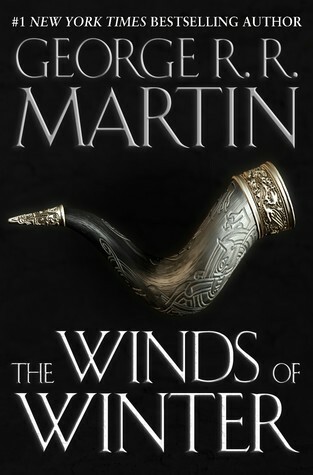 You can read an excerpt of the The Winds of Winter at George R.R. Martin’s website. A 28-year-old writer from Melbourne, Australia currently living with her husband in Fayetteville, Arkansas (USA). Content Marketing Producer at Simply Measured, hobby genealogist, cat lover, and world traveler. Posted on October 10, 2012, in Book News, Film News and tagged a dream of spring, a song of ice and fire, books, excerpt, game of thrones, george r r martin, hbo, interview, reading, tv shows, winds of winter. Bookmark the permalink. 4 Comments. In before anyone else, Stannis is the one true king.